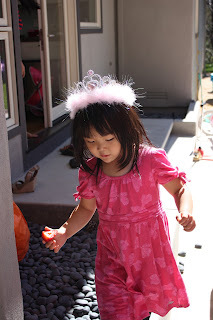 princess birthday party menu | what is clara eating today? we made the party 2pm-4pm to avoid serving lunch. all of clara’s friends and their parents are aware that clara is on a medical diet, so when we sent out the invitation, we let them know that there will only be light snacks served. Our goal was to allow clara to eat everything she wanted that was exactly same as other people. i made simple vanilla cupcakes with butter cream frostings at home, so i can get the same matching pink frosting for clara. i also made some keto mini cupcakes for clara using same recipe as the heart shaped cake below, just in case she wanted a cupcake too. using vanilla cake recipe, i baked the cake in a small heart shaped pan and made keto version of butter cream frosting(see below for the recipe) in the same color as the cupcakes. the decorated with princess candles, which can be purchased at Michael’s. Beat butter until it is creamy. Add Splenla and mix in low speed. Add vanilla, salt and heavy cream and mix in medium speed. If your frosting is too thick, add more cream. If your frosting is too soft, add more Splenda. Posted in something fun!, special day?